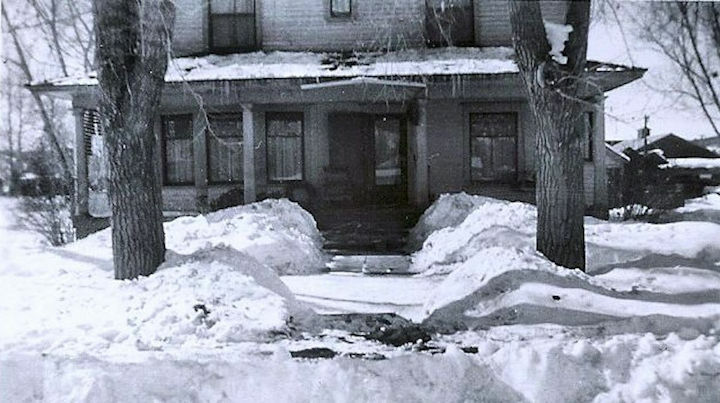 John Welsh operated a very large cattle operation in Eagle County and built this house in 1911. The Welsh house when the Lewis family lived here – some time in the 1930s. This stately home was built in 1911 by John Welsh who operated one of the largest cattle ranches in the county north of Wolcott (now the 4Eagle Ranch and Magnus Lindholm properties). Welsh, a modest man, was nonetheless influential and very involved in county affairs. He started out as a bricklayer. John Welsh was born in Canada in 1852. He moved to Red Cliff in 1881, where he operated a dairy for several years before taking up a homestead at Wolcott. His ranch, the “J over J” was one of the biggest cattle operations in western Colorado. As his wealth grew, so did his political influence. A life-long Republican, he was a power in the party’s affairs both locally and state-wide. He was involved in making Colorado a state. Welsh built this beautiful home while still operating the J over J ranch. His daughter Sallie and her husband lived there in winter so that their children could go to school in Eagle. Welsh retired from ranching in 1910. He turned the cattle ranch over to his son-in-law, “Boz” Hartman. 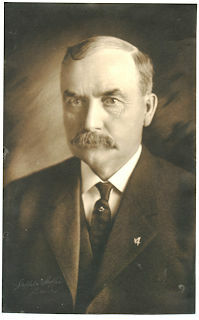 Welsh was a director of the First National Bank of Eagle County, and served as its president from 1917 until 1922. During this period he divided his time between Denver and Eagle. Welsh died in 1941. After the Welsh family, residents of the house included the Tom Lewis family, then his son Harry and his family, both of whom operated the “Lewis Store” at Third and Broadway for sixty years.